The way forward is to go within as much as possible during the next few weeks. There is a lot of activity taking place on the energetic levels on both the surface of the Earth, within the Earth and on the higher etheric levels. It is a time of great changes and this is becoming more evident with each passing day. Staying centered and aligned to your higher truth will help you move through this period with greater ease and grace. It is also very helpful to connect with the natural world around you by spending more time outdoors as this helps to keep you grounded and connected with the Earth energies. Immersing yourselves in water frequently can be very soothing, cleansing and healing to your well being. By keeping your exposure to the daily news at a minimum, you will fare well. There is much that is being kept hidden during these times but that cannot last for too much longer. Those who have held power behind the scenes in every country of the world will not be able to keep their secret activities from being exposed to the world at large. The new energy influxes demand transparency in all interactions between all parties on the global scene and also amongst all people in general. The time for secrets is over. Every cell in every inhabitant upon the Earth is being transmuted, purified and transformed. There is soon to come a time when any darkness or shadow will be clearly seen within each person’s auric field and this revelation will assist everyone to walk in their light and live in truth and integrity. The veils between the worlds are fast dissolving and those at the forefront who have blazed a trail through contact with the higher dimensions will now find it much easier to bring through greater knowledge and wisdom to be shared with all who are searching for answers. Forgive yourselves, Dear Ones, for being human, for you are creating a new and magnificent form that will far exceed previous ones on many levels. It is your very humanness that is most appreciated by the legions of higher dimensional beings who observe the growth and expansion taking place within you. Each of you is viewed as a true and courageous pioneer on a new and wondrous frontier as you learn to use your abilities and align these to the greater good of all, even though you must go through the same experiences as the rest of humanity. It has not been an easy path for any of you in this lifetime but keep in mind that this is THE lifetime where you emerge victorious in the light of your true magnificence! 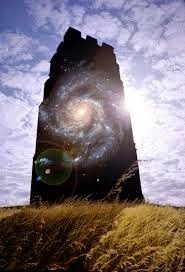 It is the soul qualities that you express and that you earn through the school of life on a physical planet that makes you such a powerful and unique being throughout the cosmos. These experiences are what are taken into the higher dimensions of life in the universe. The things of the lower dimensions must be transmuted into a higher light in order to stay with you. This is why there has been so much that needed to be released and let go. This process is still in effect and will continue to be in operation until every vestige of lower vibrational imprint is purified within every person’s body and energy field. The more of humanity who can bring in their full light body presence, the quicker the acceleration into ascension can take place. These times call for transmutation through the use of the violet fire decree and this powerful spiritual tool is available to all. Daily use is very helpful, not only for personal use but also for transmuting the energies that surround the Earth at this time. Use this mighty alchemical process with a light heart and the feeling of joy within your hearts. The light at the end of the tunnel draws near. A Matter Of Timing Or Frequency? Blue Dragon Journal: Head Or Heart?